Because folding screens and room dividers have a lot to do with aesthetics, you need to get the size of these items right. Most of the folding screens and room dividers contain three to six panels and the individual panel sizes may also differ. Before you make your purchase, make sure you calculate the floor size of the room where you intend to place your folding screen and also its height. Continuing with aesthetics, the design of your folding screen and room divider should be considered as well. 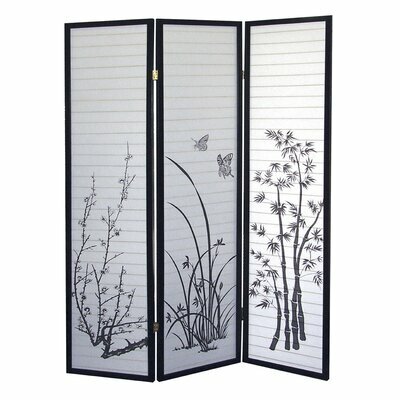 As you browse through the products online, you will get to see a wide array of folding screens and room dividers. 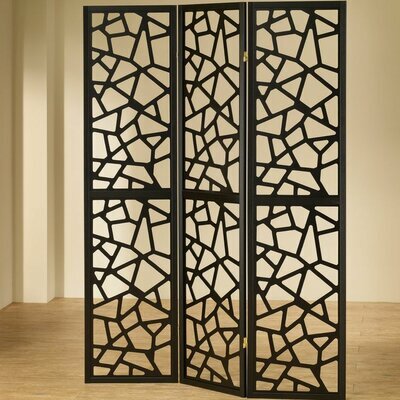 There are some beautiful looking decorative folding screens and room dividers that you are instantly going to fall in love with. Continue browsing and shortlist some of the folding screens and room dividers and then take a final call before making your purchase. As you calculate the size and height of the room (where the room divider will be placed), make sure you also take stock of the furniture that is already present in the room. If there are too many pieces of furniture about, you may want to remove some of the items. Otherwise, the room will look cluttered with too many things around. Folding screens and room dividers can be made of different materials and you should choose as per your requirement. If privacy is your primary priority, it is best to choose folding screens that have the panels made of wood or opaque (or translucent) fabric. When you put such a room divider in place, you can easily conceal those parts of your home (or a particular room) that you don’t want others to see. If aesthetics is your main priority, look for folding screens and room dividers that have the panels made of translucent linen fabric or rice paper. The room divider will hide certain places but will also generate curiosity because people will be able to make out the silhouettes. One important point to consider regarding this point is that your folding screen should complement the rest of the room where you put it. The weight of your folding screen should also be a priority for you. There will be times when you need to move your room divider and this is when a lightweight product helps. During summer days, you may simply want to place your room divider against a window so that the rays of the sun are blocked. A heavy folding screen will be difficult to move about. If you are planning to sleep late during the day, blocking out the window will help you sleep better because there will be no light. Choose the folding screen materials properly (probably a plantation material in this case) so that the breeze from outside is not blocked. You should also compare the prices of folding screens and room dividers across websites to save money. However, you should, at the same time, go through the online reviews of the sellers so that you are able to pick out the best. Remember that it makes sense to make that small extra payment to a reputed seller so that you don’t have issues with after-sales service. Also, it is a good idea to opt for local sellers even when you purchase folding screens and room dividers online. Which folding screens and room dividers for which use? There is a certain sense of exoticness associated with Oriental designs on folding screens and room dividers. The most popular products in this category are ORE 70" x 51" 3 Panel Room Divider, Oriental Furniture 36" x 50.4" Double Sided Sakura Blossoms 4 Panel Room Divider, Oriental Furniture 72" x 48" Japanese Double Sided Figures 3 Panel Room Divider, Oriental Furniture 71" x 42" Jute Shoji 3 Panel Room Divider and Oriental Furniture 47.25" x 48" Fiber Weave 3 Panel Room Divider. Some people prefer the antique style in folding screens and room dividers and the top products include Winsome 3-Panel Wood Folding Screen in Antique Walnut, Oriental Furniture 71" x 47.63" Birds & Flowers French Toilet 3 Panel Room Divider and Screen Gems 64" x 70" Capice Diamond 3 Panel Room Divider. For a more contemporary style, consider between Wildon Home 70.25" x 52" Folding 3 Panel Room Divider, Monarch Framed 3-Panel Bubble Design Folding Screen and Brayden Studio 68.5" x 52.13" Evan 3 Panel Room Divider.